Starting Friday 15th April 2016, SpeedVegas, Las Vegas’s newest adrenaline attraction, will open its track for the first time to the public. Reservations to be one of the first are now being accepted via www.speedvegas.com or (702) 874-8888. 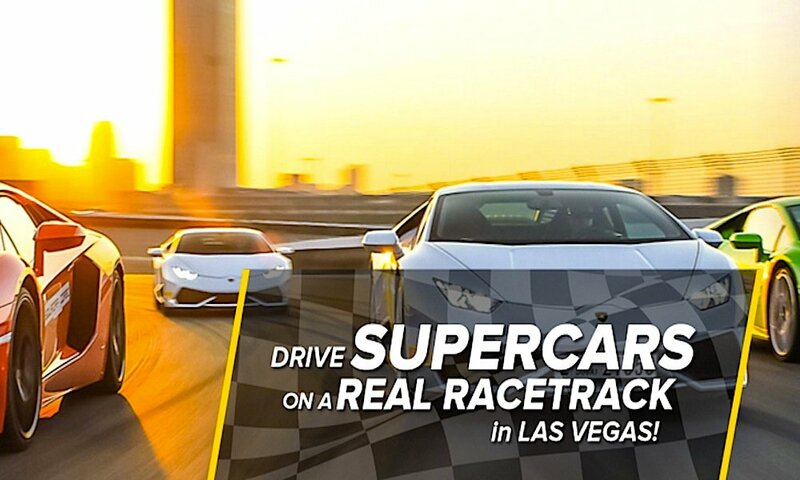 Beginning that day, guests will have full access to the SpeedVegas exotic supercar and muscle car driving experiences. On arrival, visitors will be able to select a car from a fleet of the world’s most sought-after supercars, including models by Porsche, Ferrari, Lamborghini, Audi, Corvette and more. The 1.5-mile track is comparable to top circuits in the world and includes 12 sweeping turns, 15-degree banked turns, 60 feet of total elevation change and a half-mile straightaway. This summer, the rest of the $30 million motorsports complex will open, including the 22,000 sq ft, two-story welcome centre featuring indoor and outdoor observation decks, café and meetings and event space. SpeedVegas is located on Las Vegas Boulevard South, just 10 minutes from the world-famous ‘Welcome to Las Vegas‘ sign (Exit 25 on Interstate 15).